With a 10-inch touch display, the new WMF 1500 S+ speciality machine offers all information at a glance – including nutritional information, promotional offers and usage videos. 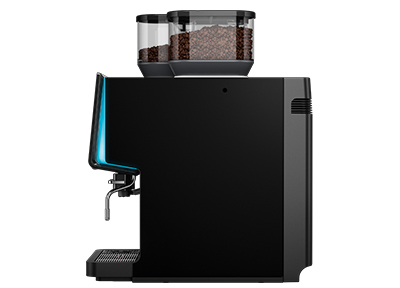 Geared towards medium-sized coffee enterprises in a wide range of areas, numerous templates ensure that the fully automatic machine fulfils the needs of all users visually, functionally and linguistically. The internal values also impress across the board. 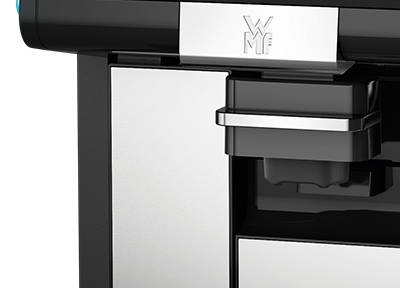 The revolutionary Dynamic Coffee Assist permanently guarantees the highest quality of all espressobased coffee specialities offered by the WMF 1500 S+. The automatically height-adjustable spout and a new Choc Mixer permit maximum ease of use and convenience. 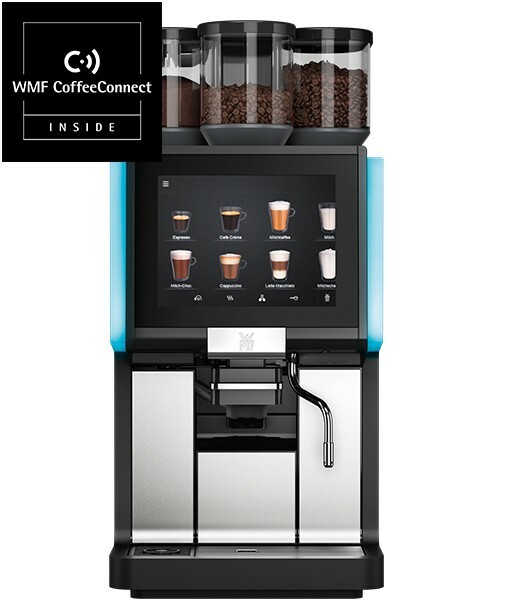 The WMF CoffeeConnect digital solution allows you to fully leverage sustainable business models to increase the efficiency of your coffee enterprise. For a completely harmonious overall impression, the three bean/powder hoppers on the WMF 1500 S+ have a uniform appearance. 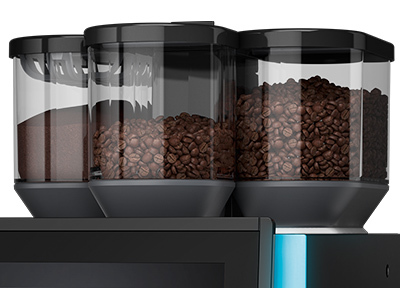 In addition to attractive design aspects, the new speciality machine offers the greatest possible choice of coffee varieties: machines equipped with two grinders and powder hoppers also provide the option of using the manual insert for the use of ground coffee. The newly developed patented Choc Mixer impresses with its easy handling, cleaning and maintenance. 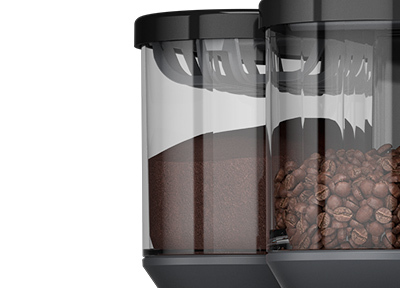 Thanks to the magnetic lock, correct insertion of the mixing cup is guaranteed. An integrated sensor also monitors the perfect fit of the mixer wheel. 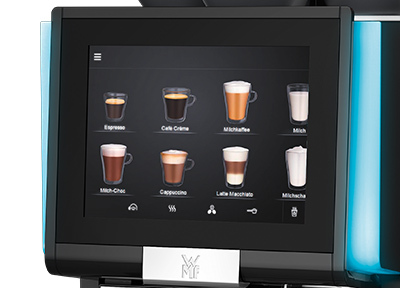 The clearly structured interactive colour display of the WMF 1500 S+ facilitates custom designs by selecting your own colour scheme and importing your own beverage images and even videos. Navigation with quick access to the main menu is intuitive thanks to touch and swipe functionality. Hygiene is not the only thing that matters in milk management. Protecting the milk system is also essential for consistently high milk quality. The Milk Excellence Sensor does exactly this job: like the empty sensor in the cooler, it protects the mixer of the Dynamic Milk system. 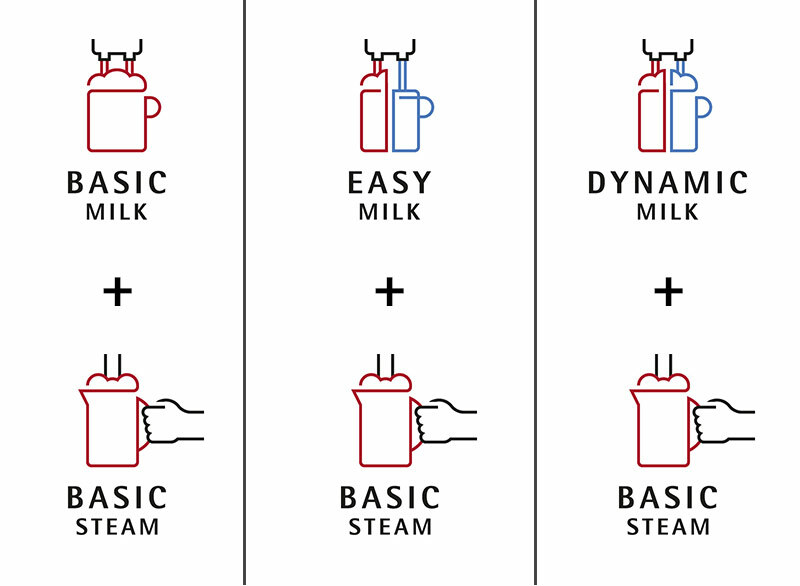 It measures via ultrasonic- technology the flow and the temperature of the milk without contact. Malfunctions due to air bubbles are also detected accurately. If deviating results occur, the system automatically adjusts the settings. With the coffee spout correctly positioned, the beverage temperature remains perfect and unsightly splashes of milk on the housing are a thing of the past. 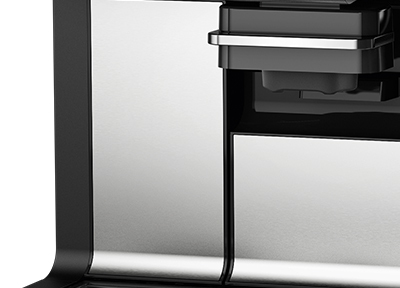 To achieve this, the spout height of the WMF 1500 S+ automatically adjusts to every preset stored for the recipe. The automatic height adjustment is available as standard with the Dynamic Milk System. 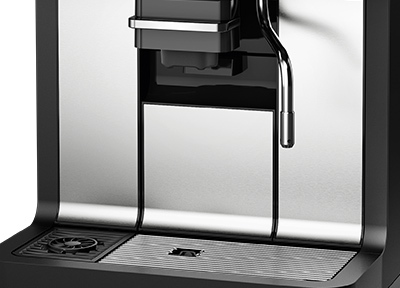 The revolutionary Dynamic Coffee Assist permanently guarantees the highest quality of all espresso-based coffee specialities offered by the WMF 1500 S+. Once the beverage quality has been set, it is continuously monitored and the most important factors for enjoyment, such as the ground coffee quantity and grinding degree, are automatically adjusted if necessary. This way, brewing time, extraction and value remain consistent and you can be sure to offer your customers consistent coffee quality of the highest level at all times. * Performance was recorded using a machine with xed water supply and is dependent on cup size, quality settings, spout, model and nominal power rating. The basis for the recommended max. daily capacity is the respective selected service concept. These average values are provided as a guide. Let our trained WMF personnel put together a customised coffee machine solution for you. ** Height with bean hopper with lock, no lock. *** The A-weighted sound pressure level LpA (slow) and LpA (impulse) in the operating personnel ́s workplace is always under 70 dB(A) in every mode of operation. From 5° dKH (carbonate hardness), a WMF water lter must be tted.